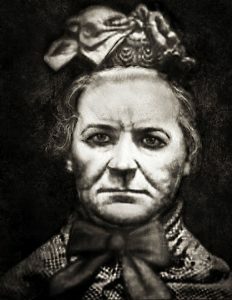 Why Is Amelia Dyer One Of The Most Notorious Serial Killers In History? Out of all the serial killers whose murderous adventures interest society the most, none transcend the notable women who make the list. Especially those whose murders took place over a century ago. One of the most infamous serial killers of all time, Amelia Dyer, etched her name into history books forever as a result of killing babies. That’s right. Babies. It doesn’t get any worse (unless you keep reading). Born in Britain, Dyer was a nurse living in poverty after her husband died, and she desperately needed a way to support herself. Perhaps it was not long until she had an epiphany that would change her life (and the lives of many soon-to-be-murdered infants) forever. She would turn to baby farming. If you’re confused, don’t worry. You’re in good company. When people needed a little extra cash, they would turn to parents who could not or would not care for their own kids. In other words, baby farming was a genuine kids-for-cash get-rich-quick scheme. For Dyer, it didn’t work out so well. The whole business of baby farming may have started out innocently enough, but time and circumstance would pave the way for tragedy. We don’t know if she murdered the first batch, but a few did not survive Dyer’s care all the same. In addition to the ones she had adopted, she was already caring for her own two. When her baby farm started to lose members, she was tried and convicted of negligence. For her alleged crime, she was forced to do six months of hard labor. After that, it’s a lot more clear that she was murdering kids on purpose. Because she strangled them and dumped their bodies, it became a lot easier to decipher her intent. Eventually, one of the murdered kids was found in a bag floating down the Thames River. Whatever evidence was found with the body, it implicated her in the murder. This time she wouldn’t get off the hook so easy. Or at all, really. She was convicted of murder and sentenced to hang, a punishment that was carried out on June 10, 1896. The date capped a life of pain and trauma that included the deaths of two younger sisters and the care of a deteriorating and raving mother dying of typhus, in addition to the cruelty and mental instability that had frequently landed her in the care of asylums that obviously did little to help work out her problems. Experts believe she tried to commit suicide at least once. It is not known exactly how many children’s lives she was responsible for ending, but the number is thought to be more than four hundred. Only twelve were ever definitively confirmed. Someone even proposed the theory that Dyer was responsible for the Jack the Ripper killings. Although it was probably a theory deemed unlikely, it could be somewhat plausible. Dyer probably had the expertise to perform abortions (although Jack the Ripper was responsible for killing prostitutes as the result of improperly performed abortions). Could the two serial killers in fact be one? We’ll probably never know if there was a real connection. Like all terrible acts of cruelty, the case did lead to some positive change. Afterward, Britain made adoption a more strenuous affair in order to make “baby farming” more difficult for those seeking financial gain in exchange for kids who obviously did not stand to benefit from the arrangements of their elders.